I cannot create a domain for create Web site. 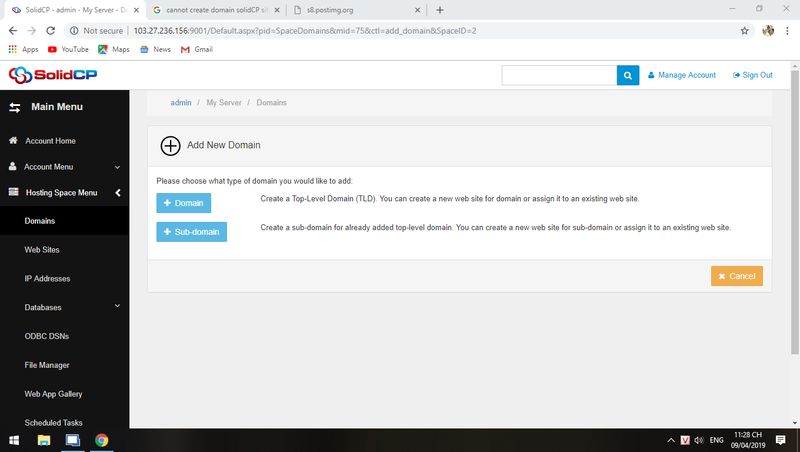 two button as Domain and Sub-domains is disable. Created a hosting space for that user? Unless domains/subdomains disabled (0 available) in hosting plan or: your checking directly under server resources this will not occur.